Your hydration directly effects your metabolism. If you want to rev up your metabolism, then you should be drinking an optimal amount of water every day. Water is involved in pretty much every function in the body, so if you’re dehydrated, it’s no wonder your metabolism is going to be effected. Almost 80% of your muscle consists of water, so if you’re dehydrated, your muscles ability to burn calories slows down. If that wasn’t enough, when you’re dehydrated your body’s ability to mobilize fat as a fuel source decreases! So the bottom line, if you want to rev up your metabolism, you must must must be drinking adequate water! Drinking plain water all day can get boring. Which is why I created this Lemon ginger water recipe! > 4 cubes of fresh ginger root – remember to remove the skin! Blend everything for a few minutes, then pour over a strainer to remove the chunks of ginger. Combined this concentrate with a gallon of water! I pour it into 4 separate water bottles and keep it in my fridge at all times so I can grab it and go! What is a “cube” of ginger? I love this recipe and it is helping me to get in my daily water quota, as lately I’ve needed something with some flavor in these winter months to make it more appealing! Thank you Chalene! Chalene, when you say blend…do you mean blend it in a blender and then strain…or are you just stirring it to blend? chalene this sounds delicious, I’m definitely going to try this ! I was drinking this then some how got out of the habit will get back in! I think because I was making it in one big container and it was a bit much for me 🙁 DUH I should read the instructions first! Is it OK to drink the whole gallon in a day? I just bought some ginger on sale yesterday and was thinking oh I can do Chalene’s water but couldn’t remember it exactly from Snap. Thanks for the recipe!!!!! This is so good! When I first came across the recipe I was like “hmm I don’t know about that” but it’s so good! It tastes like healthy lemonade!! I love these ingredients! I will have to give this recipe a try. Nice! I love this tip! 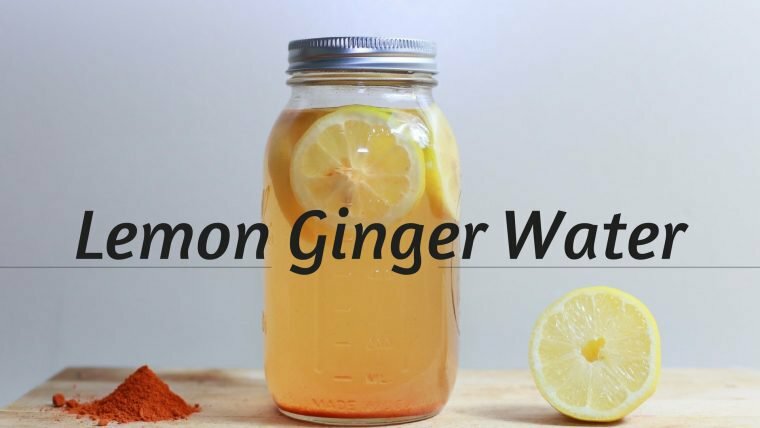 I have been drinking lemon ginger water for awhile, I just slice the lemon ,peel the ginger and throw it in a jug of ice water, have never added cayenne pepper though, will have to try that. I find it to be very refreshing . Does this taste good as a tea? how long does this last in the fridge if you make it in bulk? Is that just based on taste or does it go bad? I have a bunch that I made up and didn’t finish. Am drinking this morning and not sure that it tastes much different? I don’t have fresh ginger or lemons but want to make this tonight. Would ginger and lemon essential oils (100% pure-no carriers) have the same effect? Actually, lemon essential oil, because it’s derived from the rind, doesn’t contain the acid of the juice that wears down tooth enamel. Hi Chalene! If I make double or triple this amount for a big water dispenser how long does it keep in the fridge? Do you have to add the sweetner? Didn’t add the sweetener and added the strained concentrate to a gallon pitcher and added the remainder of the water. May have not been as diluted as it should be but tasted super yummy! I just started making this water! I love it! It is really helping me get my water intake in. I love the cayenne kick!!! Also -I love your snapchats! You are so funny and informative! I look forward to them! Thank you! Hi just wondering if it would be good to boil the ginger and use the boiled water. Is there more of a benifit? I just made this, Yum! It’s super light in color. Hope I made it correctly. So add the whole batch to an empty gallon jug, and fill the rest with water? Wasn’t sure the concentrate to water ratio. Thanks Chalene! I made mine in a Vitamix, I strained it but nothing came out, is this normal? I blended it for a while so there were probably no pieces of ginger left, lol! I use my vitamin too…because of thjs I toss my lemons in peeled & seeded. I still strain but there’s very little “remains” in the concentrate! Gale, do you toss 2 whole lemons in the vitamix??? Would you recommend the vanilla, the clear, or the lemon stevia sweetener in this recipe? Adding these ingredients to my Kroger Click List right now!! Can’t wait to try it! Chalene, I do not like stevia. Is it needed? Is there benefit other than to sweeten? Thanks. no it’s not needed… you can use an alternative sweetener… one you like. I just use stevia because it has a lower insulin response. However you can alter the recipe so that it works better for your taste buds. Due to personal taste I left out the stevia and went light on the cayenne pepper. It is delicious and refreshing. Thank you! Totally random question… I have a bag of limes (thanks Costco). Thoughts on a batch of this but using limes in place of the lemons? you could totally do that!!! i think it would be yummy! Just made it! So yummy! I’m already really good about drinking water, but I like the added flavors and I know that the ginger and lemon have added benefits too! Thank you! Oh my! I cannot wait to try this tonight!!!! It sounds great, looking forward to making the water. This recipe is my favorite!! Love this. I have also added ACV. I believe ginger can heal our bodies. I never thought of intaking it on a daily basis. This is something I will definitely start doing today! We have been making a big jug of iced green tea, but I’m going to try this instead! Thanks for sharing this recipe Chalene! Thank you sooooooo much for this recipe! I have been searching for a ginger recipe! Going to try it tonight. Do you have another option to add a couple drops of instead of “stevia” sweetner? Could I substitute with honey or cinnamon? I’d recommend not using honey because of the grams of sugar it would add. But cinnamon would work! THANK YOU for sharing your amazing recipe! Love this energy boost! Thanks, Chalene, I’ll add this with your credits and contact to my upcoming cooking class! I’ll add this to our summer refreshers when coming in from outdoor farm chores. It if ok to use ground ginger? I have ground ginger. Would it have the same effect? Or should I pick up the fresh ginger? Sounds Delish….I will have to mix some up today. I’ve needed something different! Thank you! This may seem like a crazy question, and I apologize if someone already asked this. Do you add it to an entire gallon of water or is your concentrate part of the gallon? Are you following this ? lol!! I bet you could freeze the concentrate in ice cube trays then pop the “ice cubes” in to glasses of water. Then you don’t have to worry about it going bad. My mom used to do that with lemon juice if we had too many lemons. I’m sure someone might have asked this question already, but how many times a week should you drink the ginger and lemon water? Do you drink 4 of these a day?!? All the ingredients you are using are very good for overall health. Love this recipe!! This is a winner Charlene! Ya! so happy you like it! Going to try this! Thank you! 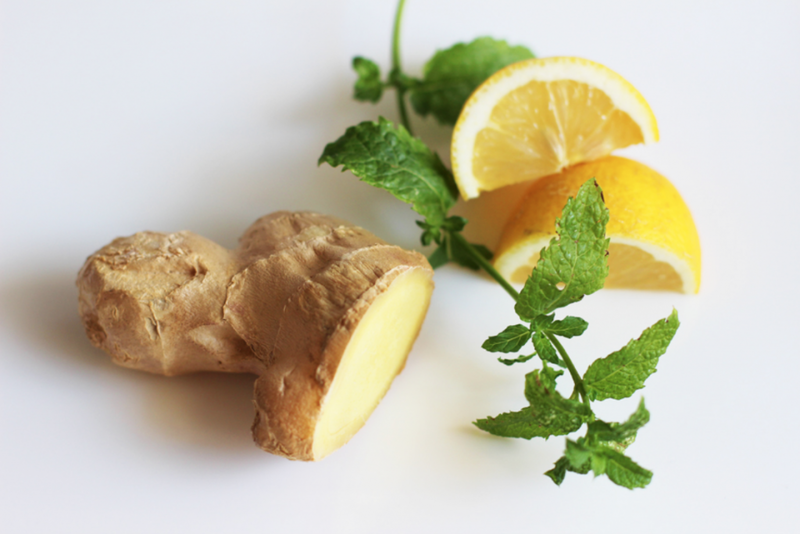 Does the lemon ginger water break a fast? No! I’ve drank it on all my fasts. I am thinking of making the concentrate, and then freezing it in an ice cube tray, and then adding an “ice cube” to my plain water bottle each time. Do you think freezing it would affect the nutrients negatively? made my list and making today! I get so bored drinking plain water, and this looks like the boost I need! Just curious…can the Stevia be substituted with raw honey? The Honey will add sugar to the water… so I recommend stevia. Love it. I normally drink lemon water in the mornings or I squeezed half a lemon and drop a pinch of cayenne pepper on it and then swallow it. This recipe brings it together plus adds the benefits of ginger. I loved it, and loves to “punch” the cayenne gives to it. Thank you! Can I use ginger essential oil instead of ginger root? I want to make this today but i already have a hard time drinking 8 cups of water. How many days can this stay in the fridge? Is this a water I can drink during a fast or will it mess it up? Doing the beta test and just wondering! Thanks for sharing! Yes! I drink this water on the fast and still have great results! Chalene – I want to try the recipe, but I thought we were trying to stay away from artificial sweeteners. Is Stevia ok to use? Chalene, I really love the lemon ginger water. This recipe really keeps me satisfied. Definitely will have this on hand when I’m fasting!! I need to try the cucumber next. Love making my own flavored water. Thanks For All You Do For Your TRIBE!!!!! Needs more than 2 drops of stevia but it’s the best afternoon pick me up on the planet! I love this, sans the cayene. Its allowed me to really increase my water intake. However, it is messy adnd time consuming. Can i make several gallons at a time and drink over several days? How long will this last in a closed jug? This is so great! It has helped me replaced diet or zero colas and flavoured sparkling water! Thanks for sharing! How does this affect the flavor? I’ve made some changes including adding a lot more water and recently eliminated diet soda. I like drinking water for the most part, but sometimes, I just miss that change of flavor by having a soda, which is why I’ve been researching the flavored waters – especially ones that will help with weight loss. I read that it was OK to use ground ginger root – but no real directions on that. Should it be placed in some sort of tea bag to be added? I found that it ended up at the bottom of the pitcher but when stirred up into the water, it becomes somewhat overwhelming to the flavor. Suggestions? How large are your “cubes” of ginger? Made this tonight and it is soooooo good!!! Will be making this weekly from now on! I’ve been drinking your Ginger water for about 2 months. For some reason I can’t seem to choke down a plain bottle of water, but I literally can chug this water all day long! It’s got the kick I need and the flavor. I don’t even miss my dr. pepper. Some people might be able to relate to how huge that is. I am so ready to jump on the one3one train! Suzanne! Your comment made my day! Sounds good. I will definitely give this a try. Thank you for sharing this. I just made this and it tastes great but very subtle flavor. Is that normal or did I dilute too much? Thank you! This is very good and I made it into hot tea. I sweeten it with a bit of honey. . . Yummy!